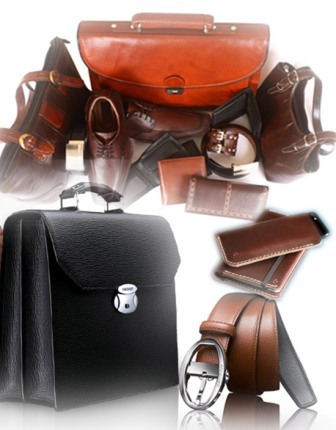 Staff Correspondent: A slump in the country’s finished leather exports is quite worrying. This also indicates that Bangladesh’s leather industry, being constrained with limited options, is not yet poised for challenging deals in international markets, despite having good potential. The country’s export earnings from finished leather recorded, according to the Export Promotion Bureau (EPB), a drastic fall by around 28 per cent in the first half (July-December) of the current fiscal year (FY), 2017-18. Exports were down to $97.53 million during the period as against $135.16 million in the corresponding one of the previous fiscal. The figures are small — and indeed far smaller than one would expect from a prime thrust sector like leather that is endowed with some inherent advantages, not just cheaper labour compared to the competitors. The reasons reportedly attributed to the unexpected fall of export by industry insiders are: price shrinking in international market to the tune of around 30 per cent and adverse impact of factory relocation from Hazaribagh to Savar. The second reason may not apparently hold out strongly, but the manner in which the relocation was undertaken speaks volumes about the inefficiency of the authorities, especially in providing basic facilities to a large number of enterprises. Unfortunately, the authorities, until now, are far from doing so as one of the key facilities — the central effluent plant (CEPT) — is yet to be made fully operational. Industry insiders have been complaining that many foreign buyers are reluctant to visit the new facilities due to environmental hazards as installation of the CETP is not yet complete and fraught with many complications. Not all tanneries have started their operations in the Savar leather estate. Reportedly, out of more than 150 tanneries, around a hundred have resumed operations. This may explain the less than normal activities and hence limited production for export. Finished leather exports experienced a noticeable decline in the last fiscal too with a slump of around 16 per cent compared to that of the preceding year. This brings to light the stark reality that the leather sector is not doing well for successive years. If fall of prices is to be taken into account, the slump in export can be explained. However, one needs to examine whether price fall was the real cause, and if so, how to ride it out in the days ahead. The industry people need to examine the situation in the global context and find out how others are doing - with higher cost of production. The country is reported to have an annual capacity to process nearly 300 million square feet of finished leather, of which around 25 per cent are sold to local leather goods manufacturers. There are indeed many issues that need to be brought under the scanner to understand the state of affairs, both at the global as well as the country levels. One of the issues that needs to be examined thoroughly is the situation of Bangladesh’s traditional export destinations. Besides, it would be important to know whether there has been any noticeable trade diversion in major importing countries and regions.